Since my last visit, a forest had been planted and grown to maturity – and was now being harvested. That earlier visit was on a railtour from Leeds to Edinburgh, out and back via the Settle and Carlisle and the Waverley Route. In later years, the S&C came under threat – and survived. The Waverley Route wasn’t so fortunate – the railtour was to mark its last day, 5 January 1969. Today, the northern part of the line, from Edinburgh to Tweedbank, south of Galashiels, is being reconstructed, due to reopen in 2015. 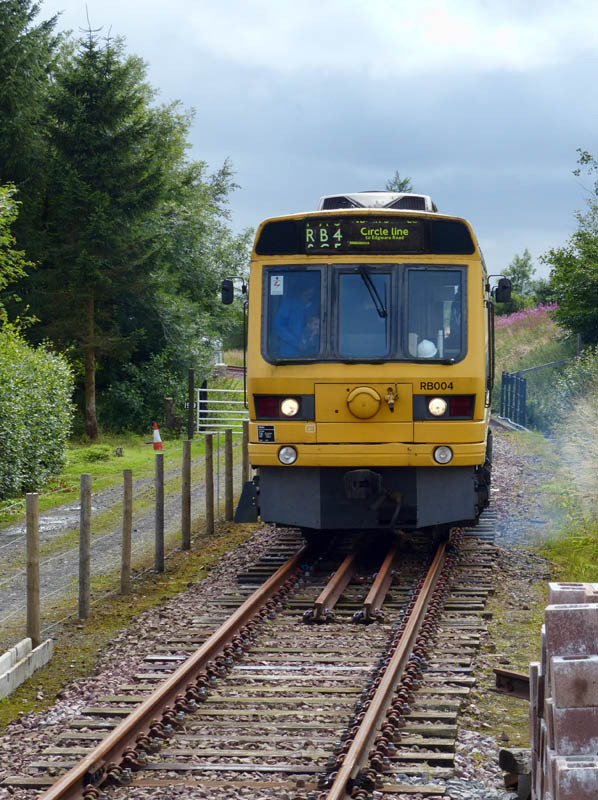 Further south, at Whitrope siding, the Waverley Railway Heritage Association are laying the track for a different kind of line – we thought we ought to pay a visit. See “Return to Whitrope” on Geoff’s Rail Diaries.